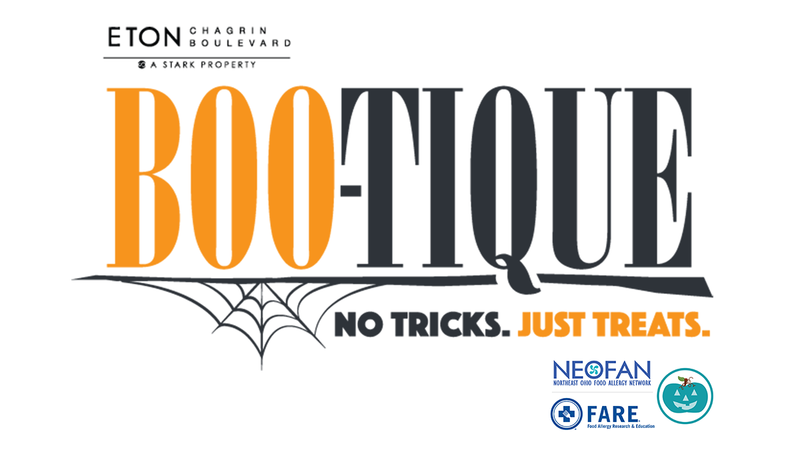 Dress up in your Halloween costume and join us inside the mall on Thursday, October 25th for a fun evening of trick-or-treating at the fantastic boutiques her at Eton Chagrin Boulevard. Plus we will be helping arrange fun activities and games from 5pm-7pm! We’re excited to be partnering with NEOFAN this year in their Teal Pumpkin Project to provide children with food allergies other candy and snack options that are free of the most common allergens.